Shamrock Rose returned from a break this fall to string together four stakes wins culminated by a Breeders’ Cup Filly & Mare Sprint victory and a shot at a year-end Eclipse Award championship. 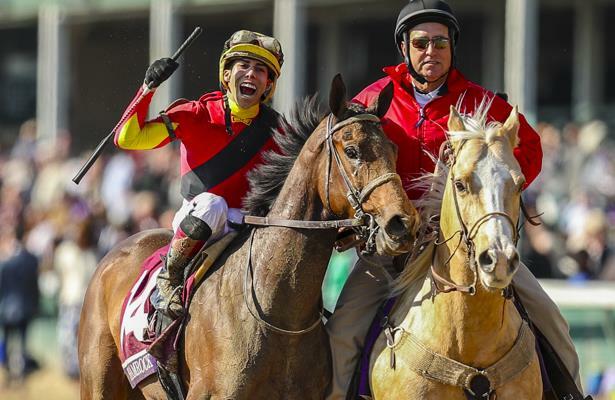 While her two graded stakes scores have been at seven furlongs, trainer Mark Casse and owners Conrad Farms are looking to go farther in 2019. Shamrock Rose is currently in light training at Casse’s training center in Ocala, Fla. Potential races in early 2019 include the seven-furlong, Hurricane Bertie (G3) at Gulfstream Park on Jan. 26, the 1 1/16-mile Houston Ladies Classic (G3) on Jan. 27 at Sam Houston, and the one-mile Royal Delta (G3) back at Gulfstream on Feb. 16. Oaklawn Park’s Apple Blossom Handicap (G1), run at 1 1/16-miles on April 16 is a longer-range target. Casse originally looked at the seven-furlong La Brea Stakes (G1) at Santa Anita Park on opening day, Dec. 26, but decided to concentrate on a 2019 campaign rather than ship Shamrock Rose to California. Shamrock Rose, a Pennsylvania-bred daughter of First Dude, was a $120,000 2-year-old purchase for the Conrads. She won the Ontario Debutante Stakes on debut and received a break this spring with no wins from five other starts. Shamrock Rose returned in August to win the Malvern Rose Stakes at Presque Isle Downs and the La Lorgnette Stakes back at Woodbine before upsetting the Raven Run Stakes (G2) at Keeneland. The 3-year-old filly cut back in distance and was off at 18-1. She settled in eighth before moving through a 14-horse field and drew away by 2 ½ lengths. It was that “powerful performance” that convinced Casse to mention the Breeders’ Cup to the Conrads. A $130,000 nomination later, Shamrock Rose was in the Filly and Mare Sprint. She backed up her connections' faith by going last to first in the full field, improving her bankroll to $917,687. “Four stakes. Four different tracks. Two different surfaces. Different distances. She’s just been unbeatable,” Casse said. The trainer added he believes Shamrock Rose deserves the Eclipse Award for Champion Female Sprinter after beating other big names in the Breeders’ Cup, such as Marley’s Freedom. A likely competitor for the Eclipse Award, Marley’s Freedoms won three graded stakes in a row, including the Ballerina (G1). She finished fourth in the Filly & Mare Sprint, half a length behind Shamrock Rose.